STOCKHOLM, Sweden, September 24, 2014 (ENS) – Bill McKibben, founder of the international climate action group 350.org, will be one of five recipients of this year’s Right Livelihood Awards, when they are presented at the Swedish Parliament in early December, the Stockholm foundation that created the awards announced today. The 2014 Awards honor courageous and effective work for human rights, freedom of the press, civil liberties and combating climate change, the Right Livelihood Award Foundation said. American surveillance whistleblower Edward Snowden and British editor of “The Guardian” newspaper, Alan Rusbridger will receive a joint Honorary Right Livelihood Award. Cash RLA awards go to: human rights lawyer Asma Jahangir of Pakistan, human rights defender Basil Fernando of Hong Kong, China, who leads the Asian Human Rights Commission, and to McKibben, an American author, educator and activist. “This year’s Right Livelihood Laureates are stemming the tide of the most dangerous global trends,” the Foundation said in a statement announcing the awards. “With this year’s Awards, we want to send a message of urgent warning that these trends – illegal mass surveillance of ordinary citizens, the violation of human and civil rights, violent manifestations of religious fundamentalism, and the decline of the planet’s life-supporting systems – are very much upon us already. If they are allowed to continue, and reinforce each other, they have the power to undermine the basis of civilized societies,” the foundation said. “This is a great honor but clearly it belongs mostly to the people who make up 350.org. It’s them, but above all the hundreds of thousands of volunteers in 191 countries, who have built the first global grassroots movement to deal with the largest crisis civilization has ever faced,” said McKibben. “This recognition of our efforts comes at a perfect moment after the remarkable success of the People’s Climate March and as we start the strongest push yet against the fossil fuel industry and the politicians it has purchased,” he said. The People’s Climate March, held on Sunday, September 21, drew over 310,000 to march through the streets of New York, and an estimated total of 600,000 people to marches around the world. All demonstrators were demanding that world leaders act immediately to reduce greenhouse gas emissions to hold the planetary temperature rise to two degrees Celsius. 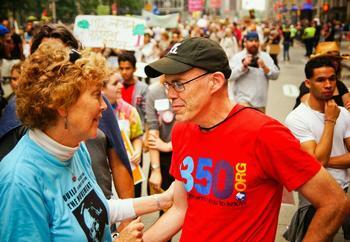 McKibben bases his work on the number 350, which means “climate safety,” the group says on its website. To preserve a livable planet, scientists say humans must reduce the amount of the greenhouse gas carbon dioxide (CO2) in the atmosphere from its current level of 400 parts per million to below 350 ppm. One of the first to warn about climate change, in 1989, McKibben published “The End of Nature,” the first book on global warming written for a general audience. McKibben is one of the three Laureates who will equally share the cash award of 15 million Swedish krona (US$209,000) from the Right Livelihood Award Foundation. 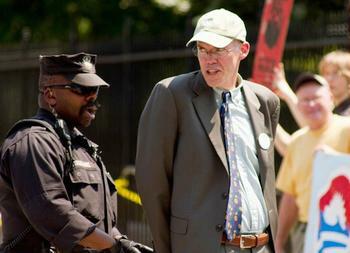 McKibben said his cash award, roughly US$69,650, will fund the work of 350.org and its partner organizations. McKibben said some money would be sent immediately to the Pacific Island activists who will blockade Australian coal ports in their traditional canoes next month. For the first time, a Right Livelihood Award is honoring a Pakistani citizen. 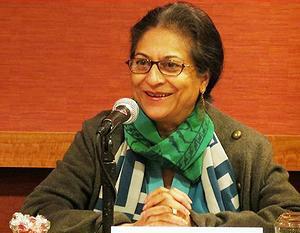 Human rights lawyer Asma Jahangir will receive the award and her share of the cash prize “for defending, protecting and promoting human rights in Pakistan and more widely, often in very difficult and complex situations and at great personal risk,” the foundation said. For three decades, she has shown incredible courage in defending the most vulnerable Pakistanis – women, children, religious minorities and the poor. Having founded the first legal aid center in Pakistan in 1986, Jahangir has taken on very complicated cases and won. For her relentless campaigning against laws that discriminate against women, and for continuously speaking truth to power, Jahangir has been threatened, assaulted in public and placed under house arrest. Jahangir was one of the founding members of the Human Rights Commission of Pakistan, an independent NGO, which was established in 1986. She made history when she was elected the first female President of the Supreme Court Bar Association of Pakistan in 2010. Her long service with the United Nations includes positions as UN Special Rapporteur on Extrajudicial, Arbitrary or Summary Executions from 1998 to 2004, and as UN Special Rapporteur on Freedom of Religion and Belief from 2004 to 2010. 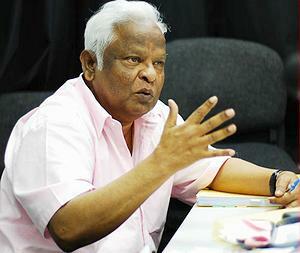 The third 2014 Right Livelihood Award recipient to share the cash award is human right defender Basil Fernando. In a career spanning three decades, he has been pivotal in linking ordinary citizens striving for human rights principles at the grassroots to institutions working for structural reform at the policy level. Fernando, and the Asian Human Rights Commission that he has led for two decades, have developed one of the world’s most sophisticated “Urgent Appeals” systems. Through its Human Rights School and training initiatives, the AHRC has educated lawyers and activists on the principles of fair trial and the rule of law. Born and educated as a lawyer in Ceylon, now called Sri Lanka, in 1989, Fernando’s name was placed on a death list at a time when tens of thousands of people had already “disappeared.” He fled to Hong Kong. There Fernando worked counseling Vietnamese refugees for a project sponsored by the UN High Commission for Refugees. He then worked for the Human Rights Component of the UN Transitional Authority of Cambodia and UN Human Rights Centre. In 1994 he accepted the directorship of the Asian Human Rights Commission and the associated Asian Legal Resources Centre. Presented annually in Stockholm at a ceremony in the Swedish Parliament, the Right Livelihood Award is usually shared by four or five recipients, but not all Laureates receive a cash award. Often an Honorary Award is given to a person or group whose work the Jury wishes to recognize but who is not primarily in need of monetary support. Snowden is an American computer technologist, and former Central Intelligence Agency officer and National Security Administration contractor. When he discovered classified evidence that the U.S. government was, contrary to its public statements, secretly operating a global system of mass surveillance in violation of human rights standards and international law, he revealed it to the press, starting in June 2013. The U.S. government is pursuing him on criminal charges. 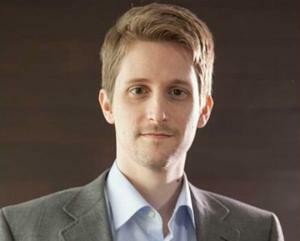 Snowden fled to Hong Kong and then was granted asylum in Russia. Today he is living in Russia, which granted him a three-year residency permit in August. Snowden’s actions have precipitated an intense global debate on privacy and surveillance. They have also led to historic rulings on privacy and to changes in policies and technologies. “Snowden has done more for our Constitution in terms of the Fourth and First Amendment than anyone else I know,” said Right Livelihood Award Laureate Daniel Ellsberg, who in 1971 revealed the top-secret Pentagon Papers on government decision-making in relation to the Vietnam War. 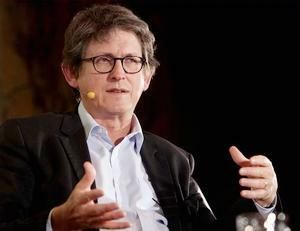 The other Honorary Right Livelihood Award will be presented to Rusbridger, “for building a global media organisation dedicated to responsible journalism in the public interest, undaunted by the challenges of exposing corporate and government malpractices,” the RLA Jury said of his work as editor-in-chief of “The Guardian” newspaper. Rusbridger oversaw the integration of the paper and digital operations, making “The Guardian” the second largest serious English-speaking newspaper website in the world and one of the most important sources for news on the global environment, development and human rights questions. During his editorship the paper has fought a number of high-profile battles over libel and press freedom, including cases involving Wikileaks and the News of the World phone hacking scandal.